Pittsburgh’s mayor and its controller are calling for policy changes in response to a PublicSource investigation showing that a no-bid, $1.5 million police body camera contract with Axon Enterprise was ushered to city officials by a police commander with financial ties to the company. “Whenever an officer is being paid as a consultant from a private company, they should recuse themselves from any decision-making — that should be a given,” said Mayor Bill Peduto in a conversation with WTAE’s David Kaplan this week. The exchange was recorded by the mayor’s office and provided to PublicSource Friday. Controller Michael Lamb said his office is now conducting its own investigation into the city’s procurement process based on the PublicSource report. “Too often these intergovernmental contracts are used to avoid a local competitive process and the result is that the taxpayers pay a higher price for goods and services,” Lamb said. PublicSource reported Monday that Commander Clarence “Ed” Trapp, 58, served as an Axon consultant for five years, collecting thousands of dollars in travel-related expenses and direct payments from the company prior to acting as the primary contact in negotiations for the city’s $1.5 million body camera deal with Axon. In addition to providing advice on company product design, Trapp served on an exclusive Axon advisory board for more than two years that sent him on all-expenses-paid trips and paid him as much as $700 per day for his time. 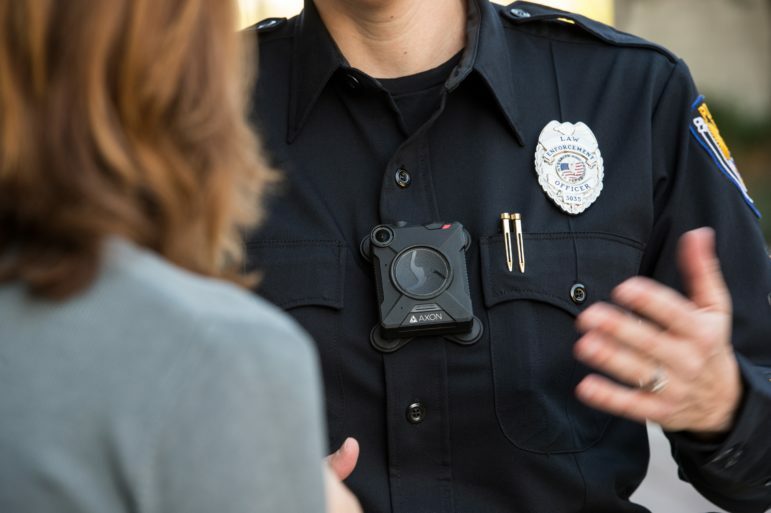 Despite dozens of companies vying to sell body cameras to police departments nationwide, the city did not put its body camera contract out for bid before it was voted on in November, and then finalized and signed in March. Trapp told PublicSource that he was investigated twice by the city’s Office of Municipal Investigations [OMI], and once by its Ethics Hearing Board over his connections to Axon. He was cleared in all three investigations, Trapp said. Peduto said he has requested to review the OMI investigations. He said he is also checking into if state or federal funding was involved in the city’s deal with Axon. 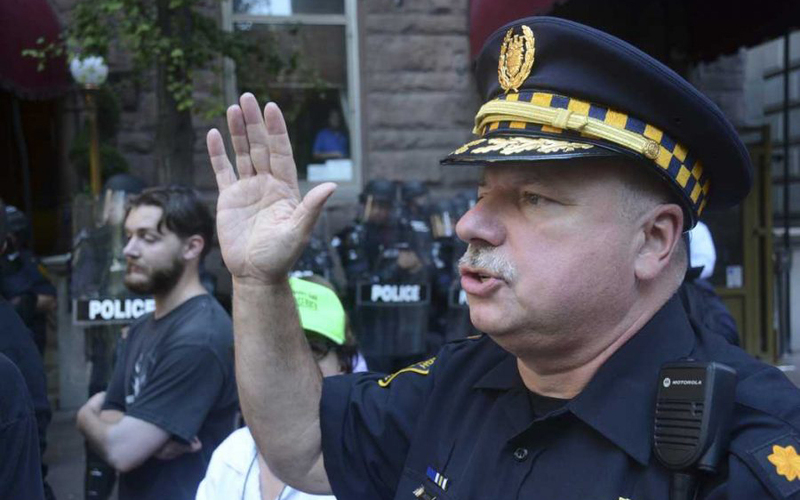 Peduto said he met with the city’s public safety director, Wendell Hissrich, and police chief, Scott Schubert, about the contract and Trapp’s connections to Axon. Peduto was clear to note that neither Hissrich nor Schubert were in their current positions when the city began exploring body camera possibilities. “Commander Trapp is an expert in the field and is recognized nationally as such,” Mayor Peduto told WTAE on Thursday. “But that should not also allow him to be earning funds while also making decisions that could end up where that contract ended up,” Peduto said. “That doesn’t mean that he had a direct part in it, but at that point you should just recuse yourself from the decision making process. So as we look at this individual case, what we want to be able to do is avoid it happening in the future." Matt Stroud is a freelance reporter in Pittsburgh and a criminal justice researcher at the American Civil Liberties Union of Pennsylvania. The subject of this PublicSource report is not related to the ACLU or Stroud’s work there. Stroud has a book due out in 2018 about the rise of 21st century technology in American law enforcement. Follow him on Twitter @mattstroud.